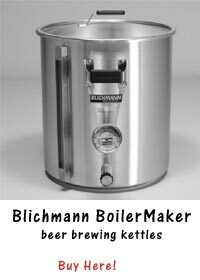 Brewing technology changed considerably over the centuries and even today varies from brewery to brewery. But, in general, almost all beers contain four main ingredients: barley, hops, water, and yeast. It does not matter if you are brewing lager beer, ale or something else you almost always can divide the brewing process into for steps: malting, preparation of the wort, fermentation, and maturation. During this stage, barley is sorted, weighed, and purified of foreign matter. Afterward, it is steeped in water, a necessity if the barley is to germinate. The germination takes between five and seven days at a temperature of about 58 degrees Fahrenheit [14°C]. The end product of this process is green malt, which is transported to special ovens for kilning, a drying procedure. The moisture in the green malt is reduced to between 2 and 5 percent to stop the germination. After kilning, the sprouts are removed from the malt, and the malt is milled. It is then ready for the next step. Brewing Lager Beer in the factory Preparation of the wort. The milled malt is mixed with water to produce mash, which is then gradually heated. At certain temperatures the enzymes start to convert starches into simple sugars. This step lasts more than four hours and produces the wort, which is then filtered to remove impurities. Next comes the boiling process, which arrests the activity of enzymes. During the boiling, hops are added to the wort to provide the typical bitterness of beer. After some two hours of boiling, the wort is cooled to the required temperature. Brewing Lager Beer in the factory: Fermentation. This is probably the most important stage of the Brewing Lager Beer process. Simple sugars contained in the wort are, by means of the yeast, converted to alcohol and carbon dioxide. The duration, one week at the most, and the temperature of the process depend on the type of beer, ale or lager, being produced. The so-called green beer is then transferred into tanks in a lagering cellar to mature. Brewing Lager Beer in the factory: Maturation. During this stage, beer acquires its typical taste and aroma; released carbon dioxide also gives the beer its sparkle. Beer matures during a period that can range from three weeks to a few months, depending on the type of beer. Finally, the finished beer is packaged into casks or bottles and is ready to be sent out to its final destination, perhaps eventually reaching your table! But which type of beer would you like to try? There are many different beers and they have different procedures of being fermented. When you are brewing lager beer, you need to put in a lot of time and effort. 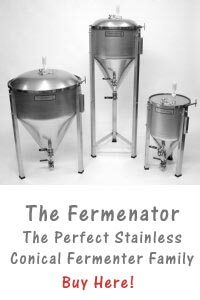 If you are going to take the chance of experiencing brewing lager beer at home, you will experience an enjoyment in drinking your own home made drinks from brewing lager beer.